Originally Submitted to FurAffinity.net on December 14th, 2014 07:55 PM. Before it was transferred to Inkbunny it had 414 views and 13 favorites. Leaf Peeping has hit her goal! She is now officially my next t-shirt, and my first acrylic charm. Thanks to everyone who helped make this happen! 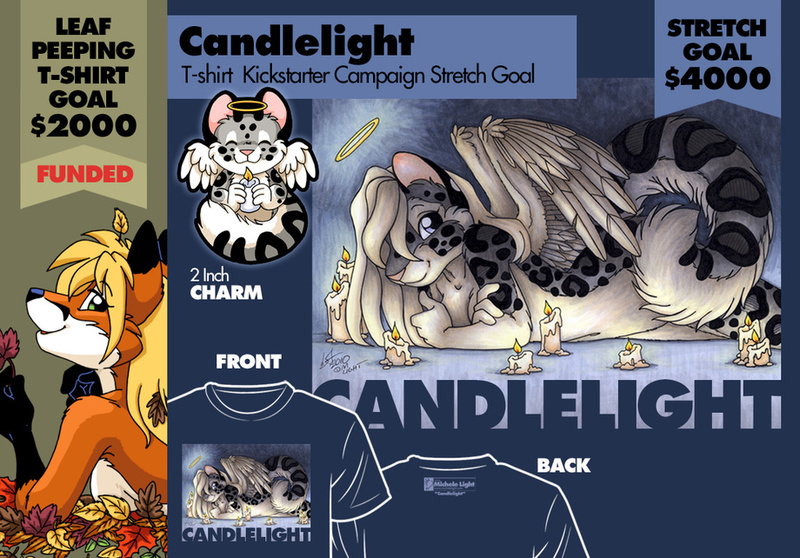 Now I'm shooting for the stretch goal of getting Candlelight made as well. I have updated the rewards to include her as an choice, plus added two new levels of both shirts and both bundles. Hurry, these are very limited offers, and the whole campaign ends in just 9 days!